The new guys did not help as the Yankees got clobbered in losing the series to the Minnesota Twins on Wednesday. I liked the tweet by Mike Axisa of CBS Sports-MLB: "Frazier, Robertson and Kahnle for a starting pitcher". Funny but also a bit truthful. I realize that Jordan Montgomery bounced back after the disastrous 2nd inning to give the Yankees an otherwise strong six innings but those 6 runs in the 2nd proved to be insurmountable. In the game of win or lose, Monty (6-5) sucked. The toughest part about the 6-run 2nd was that all of the runs were scored with two outs. With runners at second and third, Zack Granite, a native New Yorker who was 2-for-22 in his MLB career to that point, singled up the middle to give the Twins a 2-0 lead. The dangerous Brian Dozier walked on a 3-2 count, pushing Granite to second. A Larry Rothschild visit to the mound later, Eduardo Escobar hit a single to center field which scored Granite and moved Dozier to second. 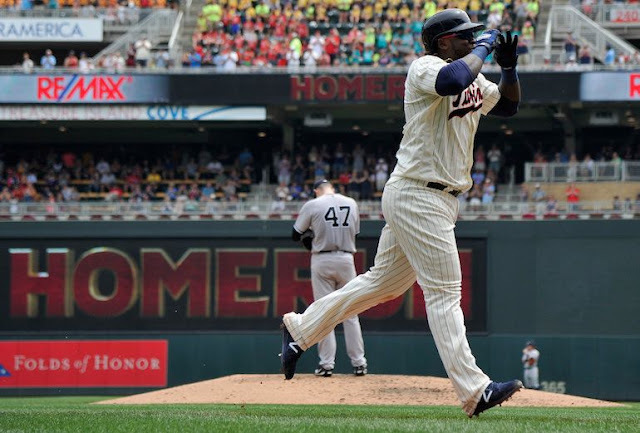 Miguel Sano stepped up and decided to play a game of Home Run Derby with a blast to center off an 0-2 rolling curveball from Jordan Montgomery. It was 6-0 Twins before the new guys, who had just shown up due to a flight delay, could shake hands with all of their new Yankees teammates. The Yankees had their biggest chance to get back into the game in the 7th inning. With Twins starter Jose Berrios still on the mound, Clint Frazier started the inning with a single to center. Garrett Cooper hit a liner to left for the first out. He was followed by Austin Romine who was awarded first base after being hit by a pitch. Clint Frazier to second. Todd Frazier then entered the game as a pinch-hitter for Ronald Torreyes but went down swinging for the second out. Gardner singled to left center to score Clint Frazier and advanced to second on an error by the left fielder, Robbie Grossman (who mishandled the ball before firing it to third). Romine moved to third. The Twins pulled Berrios and brought in reliever Taylor Duffey to face Jacoby Ellsbury. A single by Ellsbury could have brought the Yankees within striking distance but he struck out with the bat resting on his shoulder with a fastball down the middle to end the inning. It was the second time the Yankees left the bases full with no runs as Ronald Torreyes had grounded out with bases full of Yanks in the top of the 2nd before the onslaught of runs by the Twins. Tommy Kahnle made his Yankees debut in the 8th in relief of Chad Green. He gave a preview of coming attractions by retiring the three batters he faced including two by strikeout. His pitches were hitting up to 100 mph. I liked Kahnle's quote after the game, "I always dreamed once they (the Yankees) drafted me I would pitch for them in the big leagues. That day has come". As a fan of Kahnle's who was very disappointed when he was lost in the Rule 5 Draft to the Colorado Rockies and has remained keenly aware of the pitcher, I share his sentiments. Despite the loss, it was very good to see Kahnle in a Yankees uniform. Todd Frazier was hit by a pitch on the right hand in the 9th but he is expected to be fine for today's game in Seattle. The Yankees (48-45) need to forget this series and start with a clean slate today against the Mariners. The time is now to make a move after weeks of sliding backwards. The Yankees lost ground to the Boston Red Sox in the AL East. The Red Sox beat the Toronto Blue Jays, 5-1, so the Yankees are now 4 1/2 games behind the leaders. They remain 1 1/2 games behind the Tampa Bay Rays who lost to the Oakland A's, 7-2. 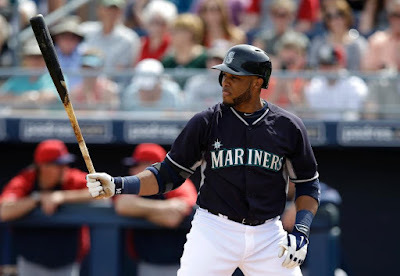 The Yankees get a chance to catch up with Robinson Cano and Ben Gamel for four games in the Pacific Northwest. I feel fairly confident about Thursday, even with King Felix on the mound, and Saturday, but as for Friday and Sunday...not so much. Here's hoping the new guys bring some much needed magic and mojo back to our favorite team. 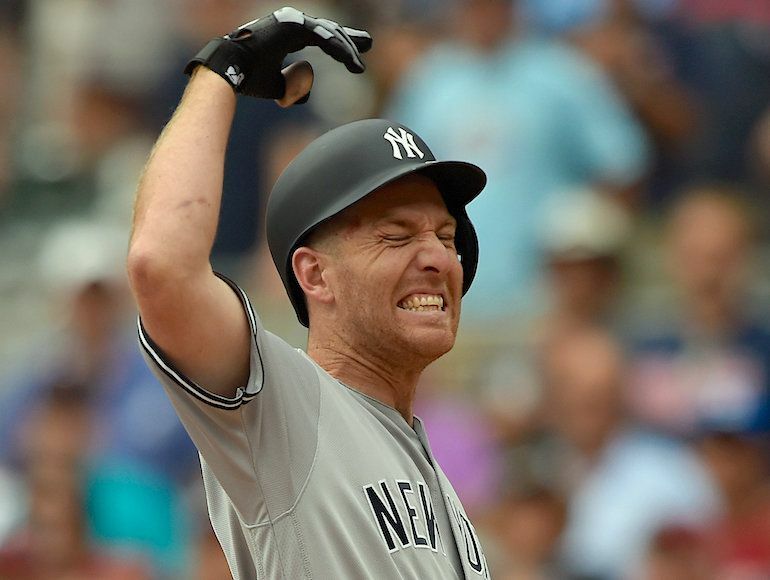 As expected, the Yankees made a flurry of roster moves yesterday to make room for Todd Frazier, David Robertson, and Tommy Kahnle. Chasen Shreve was optioned to Triple A and Ji-Man Choi was designated for assignment. Rob Refsnyder, on the 40-man roster, was also DFA'd as the Yankees needed to create the room on the 40-man roster even though Tyler Clippard vacated his spot with the trade to the White Sox. I can't say that I am overly excited about Luis Cessa remaining on the active roster. Given a choice between Cessa and Caleb Smith, I'd prefer to see Smith get the next start in place of Michael Pineda. Frazier took Tyler Clippard's old number (29), Robertson reclaimed his own old number (30) with Clint Frazier switching to double-Mickey Mantle (77), and Kahnle's number with the White Sox was waiting for him thanks to the recent dismissal of Chris Carter (48). Speaking of poor starts, the Yankees are surely looking for rotation help after Jordan Montgomery's string of sub-par starts. But being "careful buyers" probably means that the Yankees will not be players for guys like Sonny Gray or Gerrit Cole. Now is the time for GM Brian Cashman to earn the dollars for his next contract. Manager Joe Girardi has said that Todd Frazier will be the team's regular third baseman. Chase Headley will move to first and platoon with Garrett Cooper. If Frazier has a strong finish to the season, I'd have to believe it is more likely the team will attempt to re-sign him over Matt Holliday. Frazier intends to talk to YES Network broadcaster Paul O'Neill about possibly switching his number from #29 to #21 before the team returns to the Bronx. Frazier has always worn #21 because of O'Neill. I think it would be appropriate and would not boo the move assuming that he gets O'Neill's blessing. Former Yankee Chris Carter has signed with the Oakland A's, a team he played for from 2010 to 2012. He'll report to the A's Triple A club, the Nashville Sounds. I can still remember when the Sounds were a Double A team for the Yankees and Buck Showalter was a first baseman/outfielder for them. 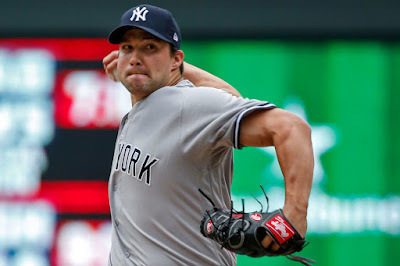 We'll probably be seeing another former Yankee soon (in the wrong uniform) as the Boston Red Sox and the Seattle Mariners have been identified as strong possibilities for David Phelps of the Miami Marlins. The Red Sox are also still looking at Miami's Martin Prado, currently on the 10-Day DL, as well as Eduardo Nunez of the San Francisco Giants. Have a great Thursday! Sevy can make it a truly awesome day. Let's Go Yankees!